The Claremont Village Blues and Brews Craft Beer Walks will take place from 4 to 8 p.m. today (June 28). Tickets ($50) include food tastings from local eateries and 18 beer tasting tickets. Designated driver tickets are available for $25. This is a 21 and up event. More than 50 beers and ciders will be available. Ticket packages are available here. 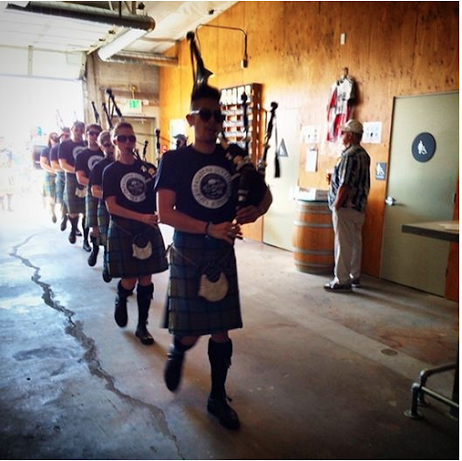 (Photos courtesy MacLeod Ale Brewing). After battling bureaucracy for almost two years, MacLeod Ale Brewing finally opened last weekend with more than 600 people pouring through its doors even though tickets were required to restrict crowds in the small facility. This week those restrictions are gone and MacLeod is open every evening leading up to its first weekend open to the general drinking public with no tickets required, said co-owner Alastair Boase. 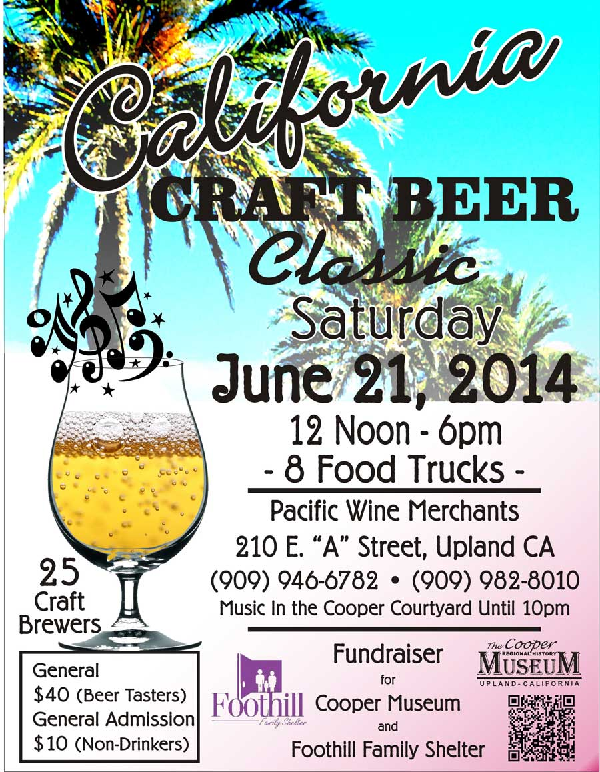 Upland is the place to be to sample from 25 craft breweries while helping out the Cooper Regional History Museum and Foothill Family Shelter. 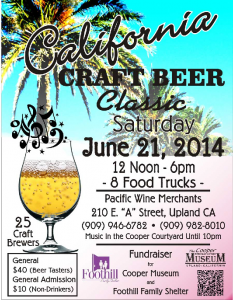 The museum is hosting the California Craft Beer Classic from noon to 6 p.m. today (June 21) at Pacific Wine Merchants, 210 A St., Upland. 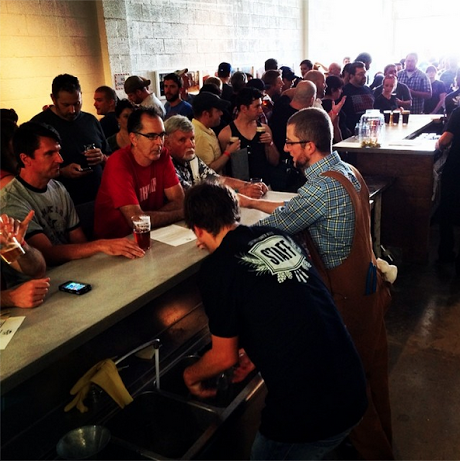 Participating breweries from across California (and one interloper from Colorado!) include: Ritual Brewing Co., Rök House Brewing Company, Dale Bros. Brewery, Hangar 24 Craft Brewery, Sanctum Brewing Co., Inland Empire Brewing Company, Wiens Brewing Company, Bootlegger’s Brewery, Old Orange Brewing Company, Surf Brewery, Ballast Point Brewing and Spirits, Green Flash Brewing Company, Karl Strauss Brewing Company, Stone Brewing Co., Tap It Brewing Co., and New Belgium Brewing Company. 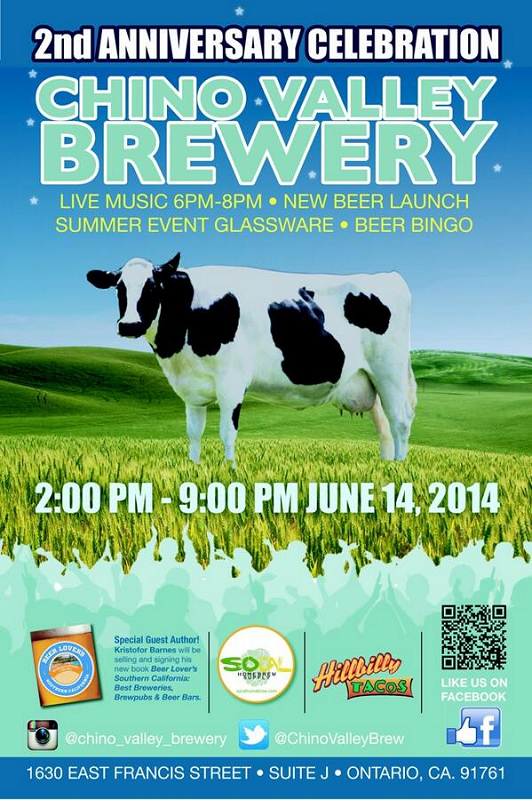 Congratulations to Chino Valley Brewery in Ontario, which is celebrating its second anniversary today (June 14)! The event will include the release of the brewery’s latest beer — Cyngularity pale ale, plus demonstrations from SoCal Homebrew Supply, a book signing with Bierkast’s Kristofor Barnes, art from Loft Beats, food from Hillbilly Tacos and live music. 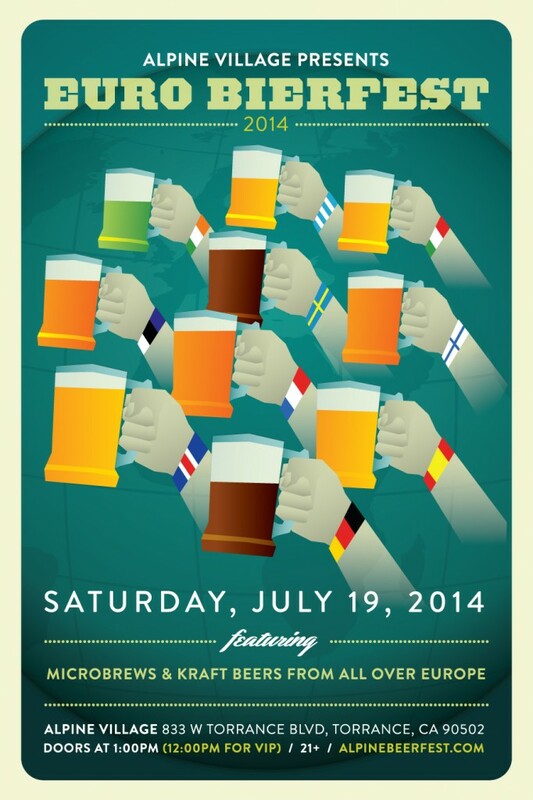 The celebration will take place from 2 to 9 p.m. at the brewery, 1630 E. Francis St, Unit J. For updates, follow ‘em on Twitter. It’s time once again for Hangar 24 Craft Brewery to bring back Essence in all its citrusy glory! Part of the brewery’s Local Fields series, the double IPA is brewed with Redlands navel and blood oranges and grapefruit. 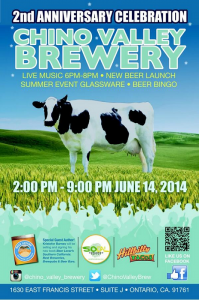 The brewery will celebrate its release from 11 a.m. to midnight today (June 7). 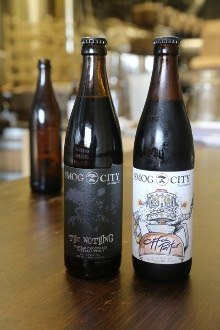 Smog City will release its first two bottled beers at a release party from noon to 8 p.m. Saturday at the brewery. The rich Coffee Porter is virtually a breakfast beer, while The Nothing is actually more like everything, a decadent tasting multi-layered whopper of a brew. Bottles are $8-$10 apiece and special versions will also be on tap in Smog City’s Del Amo Boulevard tap room. Fun fact: Did you know the brewery’s Little Bo Pils is far and away its most popular beer accounting for roughly half its sales?